It’s really amazing to see how simple wardrobe basics can turn into something casually chic. 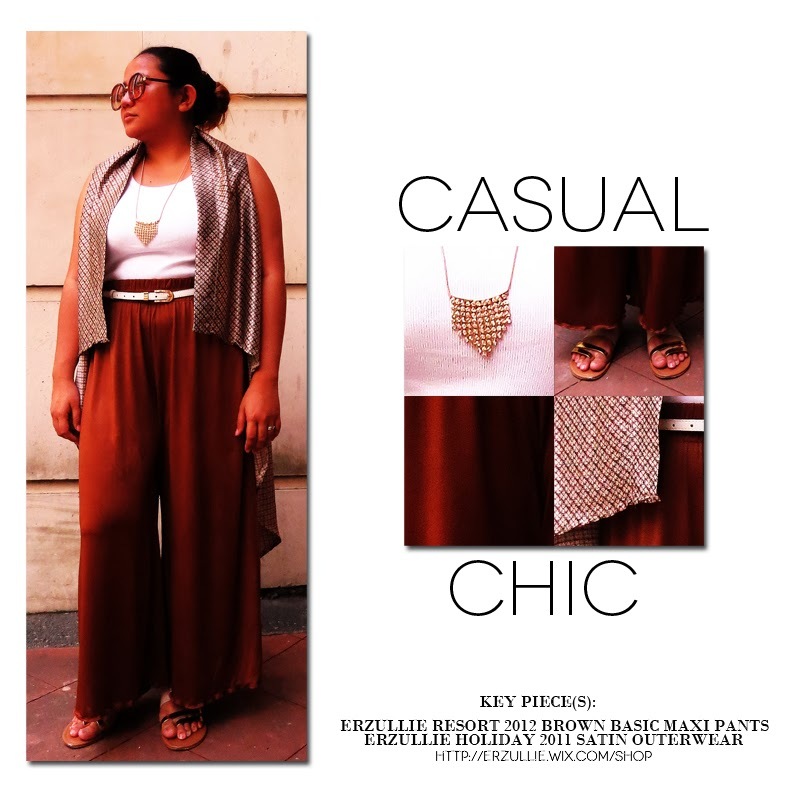 In this ensemble, the Erzullie Resort 2012 basic maxi pants is paired with the Erzullie Holiday 2011 satin outerwear and a white tank top. To add a sense of luxury, a long gold chain necklace and a white and gold buckled belt is in order. It is then topped off with metallic strap sandals with neutral footing to stay relevant n the palette. Erzulliestas! 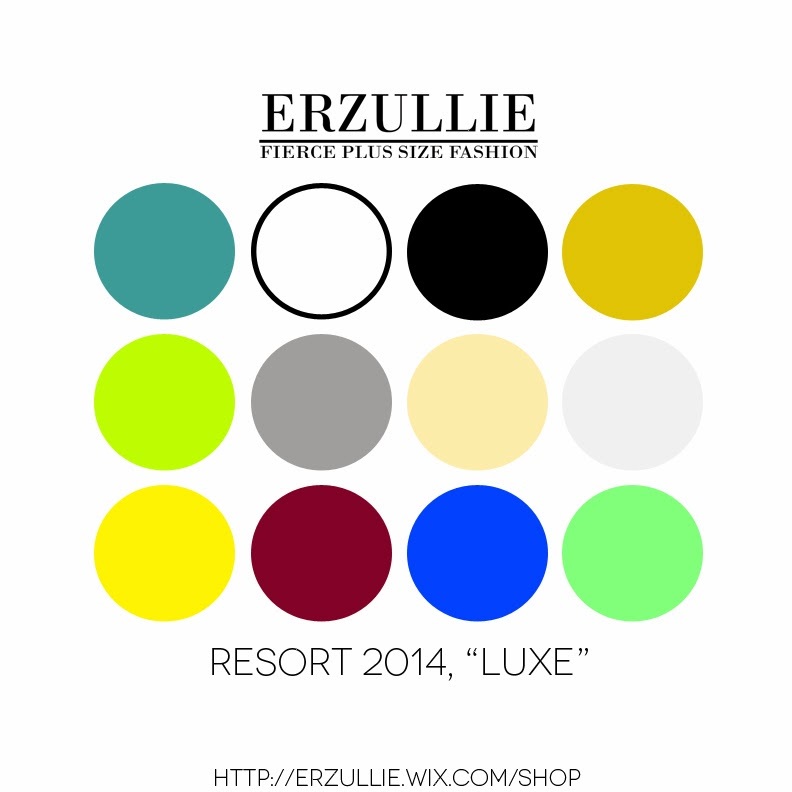 See you at the Erzullie booth at the Super Sale Bazaar, World Trade Center, Pasay City on February 28 – March 2, 2014 (11am-10pm) for the release of the Resort 2014 collection! Check out the color palette! You ladies requested some color and we hope that you love this as much as we do.